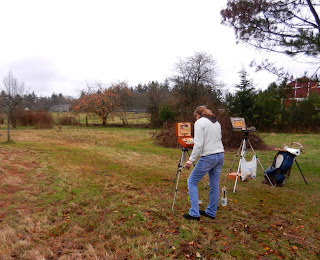 One of the other great things I did this year was join the Plein Air Washington Painters. 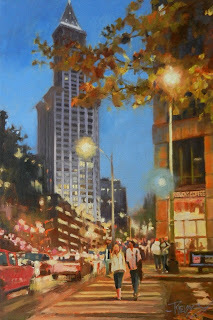 They have an ambitious schedule of paint-outs and shows coming up in 2013 that I am looking forward to participating in. I feel grateful and honored to be a part of this fun and talented group! 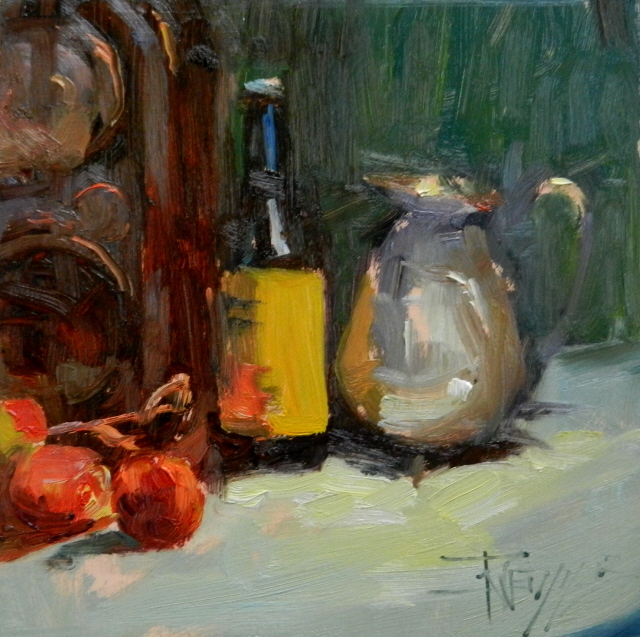 This still life painting was done during the Christmas get together and of course it featured painting! I got there late and so many had already set up for the portrait painting, I couldn't get close enough to see the model! Instead I decided to paint the painters. 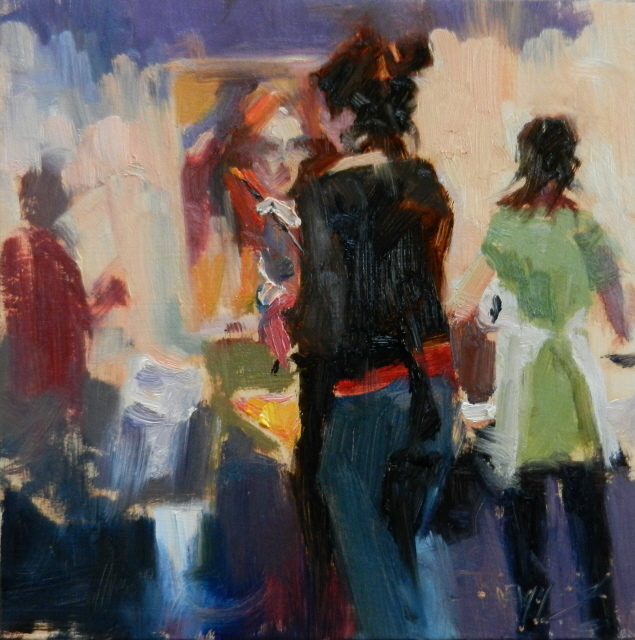 This is Emiliya Lane painting the model with Silvia Carlton and Paula Ensign in the distant right. The weather doesn't always cooperate for plein air here in the Pacific Northwest. We have had a LOT of rain so far this year! I decided to keep Alison indoors for our second lesson and set up a still life. 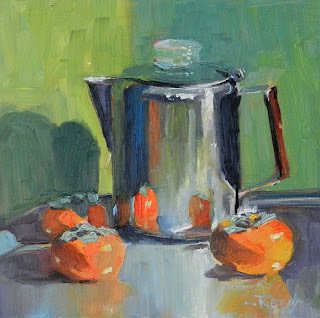 We talked a bit more about color mixing and then I did this demo using my favorite prop..(the old camp coffee pot) and some persimmons I picked up at Central Market. After that Alison gave it a go and you will be amazed at her rendition! Check it out on her blog post HERE. 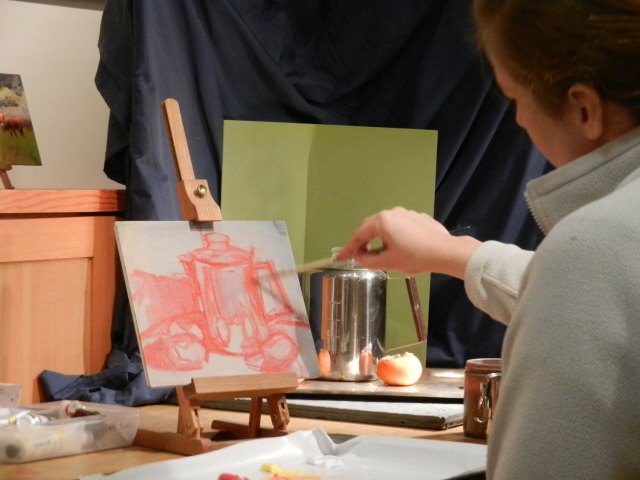 Here Alison is working on the composition and under-painting. 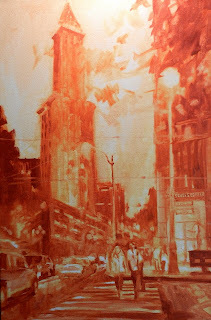 The red tone she is using will show through in some areas and compliment the greens as she finishes the final painting. 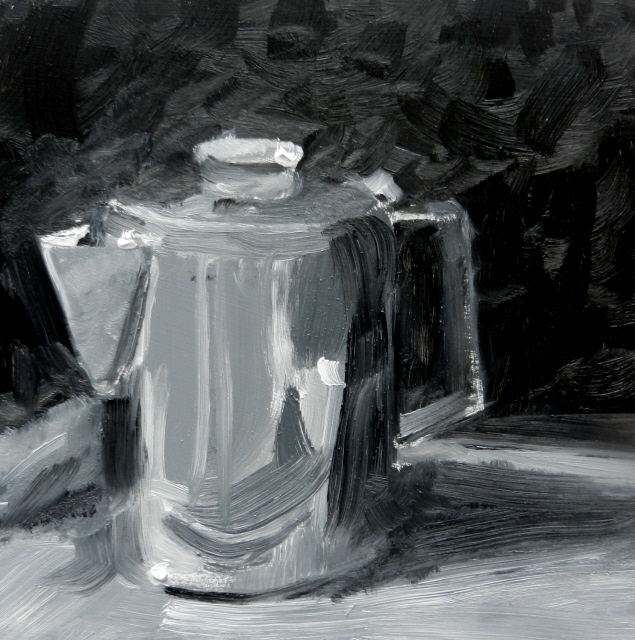 This is a value study done by another student, Mike Pickard using the coffee pot. The dramatic value changes in the reflections of the shiny metal and the familiar form make this subject perfect for demonstrating painting techniques. Occasionally I take on students and prefer to teach one on one. This year I have had several. Usually they contact me or the Knowles Studio to find out if I am available to teach and then we set up an appointment. Allison Barry contacted me by email and we made arrangements for three sessions. 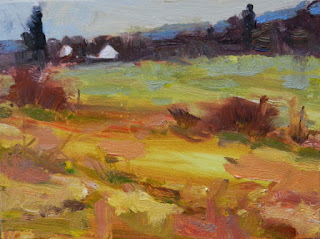 Alison wanted to learn more about plein air painting. 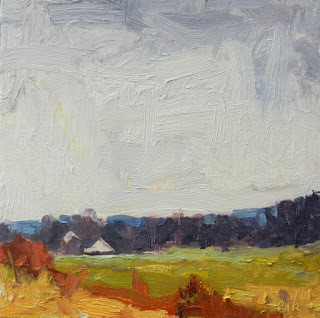 The first day after some initial color theory, we went out in Washington drizzle and painted the fields near the studio. I did two quick demos, a low horizon line and a high one. Alison has been painting for awhile and can skillfully use brush and color to compose fine paintings.See her blog HERE. 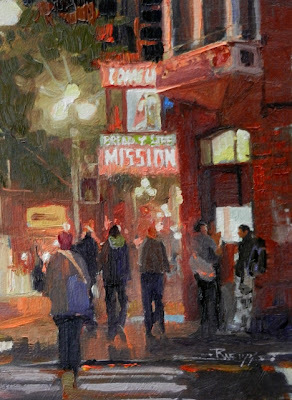 My goal was to give her a bit more confidence to loosen up and render "first impression" studies outside, from life. 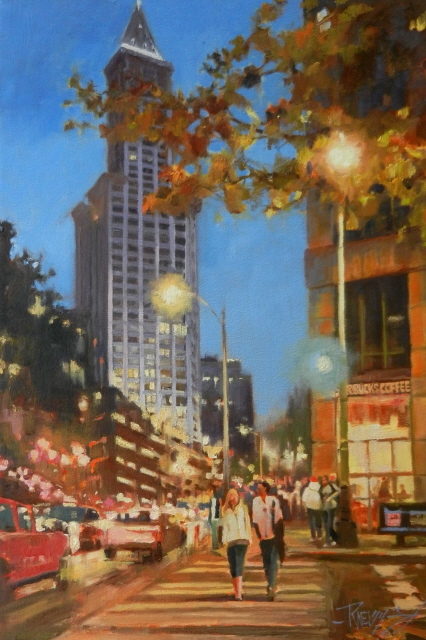 Alison Barry set up to paint "plein air"
This time of year can be hard on the homeless in Seattle. There are still some places they can go to get a hot meal and a safe place to stay. Bread of Life Mission is one of them. They also offer programs to help folks beat addictions and transition back into a working and contributing lifestyle. If you are interested in helping out you can contact them here. I put a lot of hours into this painting trying to keep it loose and painterly, shooting for a more abstract feel . In the end....Well , I'm my own worst critic!! I'll leave the critique to you, the viewer! 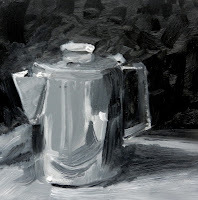 I really love the under-painting! 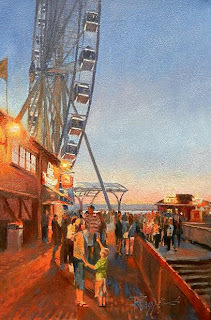 This is iconic Seattle! The Pike Place Market in the rain! 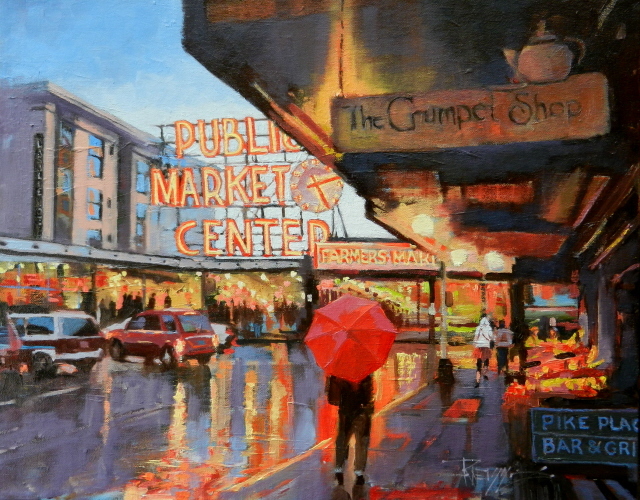 Sometimes I love rainy days more than sunny ones...Guess that makes me a true Washingtonian! 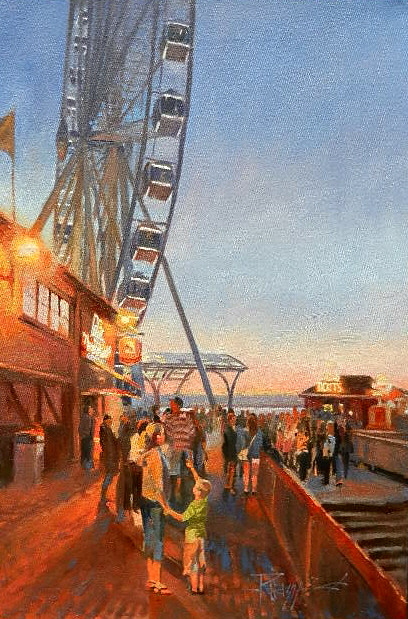 Seattle just installed this Giant Ferris Wheel on the waterfront and it has already become a part of the skyline. The waterfront will be rapidly changing in the coming years as they tear down the old viaduct and replace it with a tunnel. 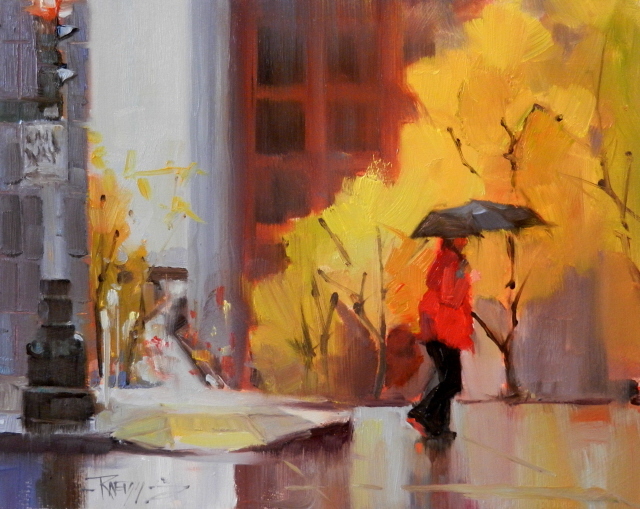 "Fall Rain" Seattle city oil painting by Robin Weiss"
They say that we receive most of our rain in November here in the Pacific Northwest and that is proving true this year! Water everywhere! For me it just adds to the beauty and drama of our spectacular area. What is it about umbrellas that add such a point of interest to a painting?